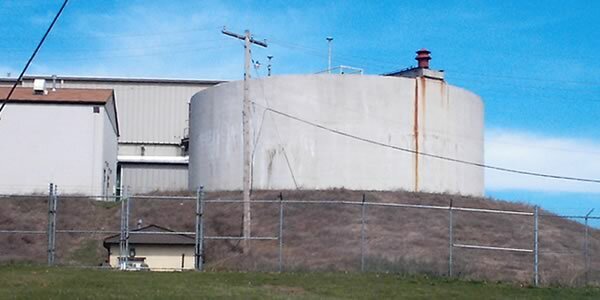 Brackenridge Borough wanted to extend the longevity of their 25,000 gallon clarifier. We discussed several options with the Borough. They decided that the HL-922 Prefabricated Panel Lining System was their best, most cost-efficient option. 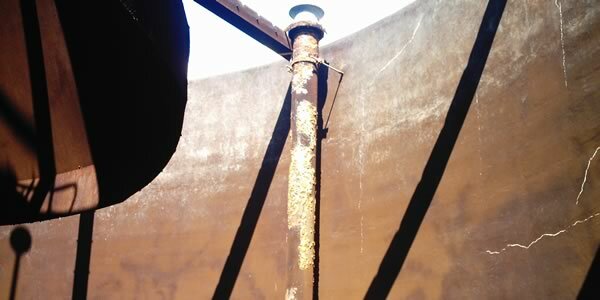 First, we cleaned the tank to remove all existing coating and loose concrete. Then we filled all concrete voids and cracks with HL-922 Fiberbond Filler. Our next step was to apply the FRP strips to the walls using mechanical anchors and install the prefabricated FRP panels to the walls. Then we jointed the panel seams, lined the tank floor and joined the floor to the wall panels using the FRP hand lay-up method. After we applied the pigmented topcoat, we visually inspected it for voids. Our final step was to fill the clarifier. 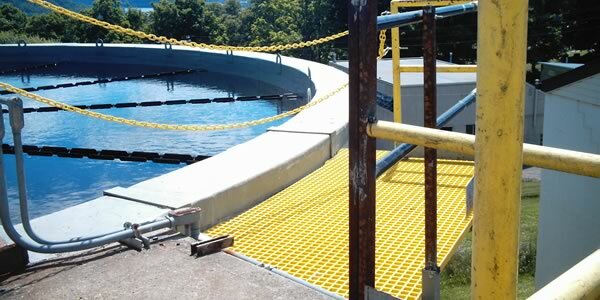 While we were installing the new lining system, we refurbished their walkways on top of the clarifier. 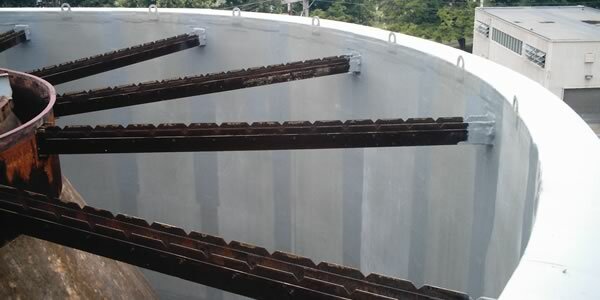 We also constructed a new platform which will allow them easier access to the top of the clarifier.